The U.S. Environmental Protection Agency has moved to unwind several Obama-era regulations designed to slash air pollution, protect the quality of major waterways and spur cities to reduce ozone. Earlier this week, U.S. Environmental Protection Agency Administrator Scott Pruitt announced the agency will seek to repeal the Clean Power Plan — President Barack Obama’s signature effort to combat climate change. The announcement is the latest of the Trump administration's moves to unravel several environmental regulations —both national and Texas-specific — that would have required the state to slash industrial emissions that are linked to global warming, human illnesses and diminished visibility in Big Bend and other national parks. Other regulations on the chopping block would have allowed the federal government to regulate small streams and wetlands so they don’t leach pollution into larger waterways and to require automakers to increase fuel efficiency standards. Scientists and environmentalists have bemoaned recent moves by the agency to repeal or weaken Obama-era regulations like the Clean Power Plan and the Regional Haze Rule. Last week the agency also missed a deadline for designating which U.S. cities are not in compliance with stricter ozone standards. San Antonio and El Paso were expected to join many of Texas' other major cities on the non-attainment list. Meanwhile, the states' Republican leaders and some oil and gas industry and agriculture groups that sued over many of the Obama-era policies have cheered the efforts, calling them a win against federal overreach. But some of those same oil and gas groups and power generators — particularly those shifting to cheaper and cleaner-burning natural gas — are opposed to efforts to prop up the struggling coal industry. The EPA’s efforts are sure to bring a torrent of lawsuits by environmental groups that could tie up the process for years. The courts have already blocked Trump’s efforts to unwind a controversial Obama-era rule aimed at slashing methane emissions in the oil industry. The CPP was a key component of the country’s commitment to the Paris Climate Agreement, from which the U.S. has since withdrawn under President Trump. In March, the president signed an executive order that called on the EPA to move to repeal the plan, which he repeatedly bashed on the campaign trail. “The war on coal is over,” Pruitt, who sued over the plan as Oklahoma attorney general, said in a Monday speech to a group of Kentucky coal miners. The plan would have required every state to slash carbon dioxide emissions from power plants by 2030 however they saw fit, accelerating a shift from coal that started years ago. Carbon dioxide is a potent greenhouse gas that directly contributes to climate change. For Texas — the nation’s top emitter of carbon dioxide by far — that would have meant cutting an annual average of 51 million tons of emissions, about 21 percent less than 2012 levels. Webber said the state stood to benefit economically from the power plan, which would've increased demand from less energy-abundant states for cleaner energy sources. “The Clean Power Plan was good for us economically and yet we fight against it,” Webber said. Texas and West Virginia led a coalition of more than two dozen states that filed lawsuits over the plan, which was never implemented as those legal challenges wound through the courts. The state’s Republican leaders and its grid operator, the Electric Reliability Council of Texas, warned that the plan would bring higher electric bills and threaten grid reliability. No matter how many coal-friendly policies the Trump administration pursues, energy analysts say they are no match for market forces, which favor cheaper and cleaner-burning natural gas and renewables. 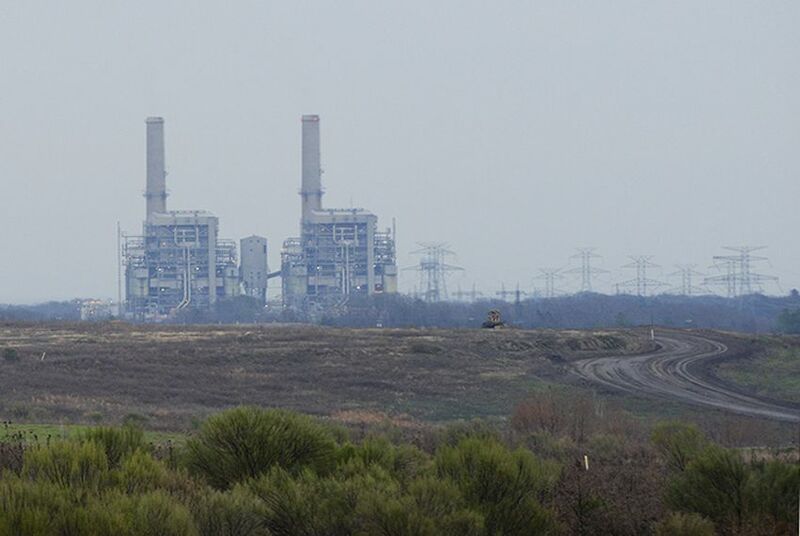 In the past week, Irving-based Vistra Energy and its subsidiary, Luminant, have announced plans to shutter three major Texas coal plants — Monticello, Big Brown and Sandow. Last week, the EPA unveiled a final version of a Texas-specific clean air rule that scientists and environmental groups say will allow the state’s power plants to emit more sulfur dioxide than they already do. In December, the Obama EPA proposed a plan for Texas to comply with one prong of a nearly 20-year-old rule for reducing air pollution that leads to haze and diminishes visibility in national parks like Big Bend and other federal wilderness areas. The plan would have slashed sulfur dioxide emissions from power plants by at least 60 percent statewide, leading to significantly lower levels of harmful particulate matter, according to calculations by Rice University Engineering Professor Dan Cohan, who says the rule would have done more to clean up the air in Texas than the Clean Power Plan. Sulfur dioxide is known to impact not only visibility but also human health. Under a 2012 consent decree struck with environmental groups that sued the EPA to encourage it to speed up the process, the agency was required to propose a final version of the plan by Sept. 9. After an unsuccessful attempt to get the courts to extend that deadline, the Pruitt EPA unveiled a final version of the rule last week. Unlike the rule the EPA proposed in December, which imposed emissions caps on individual plants, the new rule sets up a cap-and-trade program with a limit Cohan says is 14 percent above current emissions — and which he said “will do nothing” to improve air quality. Coal plants, he said, won’t have to install any of the emissions-reducing equipment they would have needed to comply with the original haze rule. The cost of installing that equipment was expected to force the closure of many of the facilities, which are already struggling to break even. “By Pruitt scrapping the proposal that required actual pollution reductions, he is bending over backwards to help Texas polluters maintain a dangerous status quo," Chrissy Mann, who heads the Sierra Club’s Beyond Coal campaign, said in a statement. Earlier this summer, the EPA moved to unwind an Obama-era clean water regulation that had irked Texas Republicans and the farm lobby, who painted it as an attack on private property rights and sued to block it. The 2015 Waters of the U.S. rule — which Trump vowed to repeal on the campaign trail — was aimed at better defining the scope of bodies of water protected under the federal Clean Water Act. It would have allowed the federal government to regulate small streams and wetlands. The Obama EPA said the agency had always believed its jurisdiction stretched beyond traditional navigable waters, like rivers and seas, to these smaller bodies of water that can impact them, but it didn’t have a strong legal basis to prove it. The updated definition would have clarified that authority, leaving ranchers and industry officials to wonder whether they would have to check with the federal government before using their own land and go through a lengthy and expensive permitting process. Paxton said last year that the change would mean "virtually every river, stream and creek in the U.S. will come under the oversight of bureaucrats from the EPA." In June, the Pruitt EPA, along with the U.S. Army Corps of Engineers, proposed a rule that would allow the EPA to go back to enforcing a guidance document from 2008 when deciding whether a waterway is subject to federal oversight for pollution control purposes. “We are taking significant action to return power to the states and provide regulatory certainty to our nation's farmers and businesses,” Pruitt said in a statement at the time. Like the Clean Power Plan, the rule never took effect after a federal court granted a nationwide stay as legal challenges, including from Texas, wound through the courts. Regan Beck, director of governmental affairs for the Texas Farm Bureau, said the group is overjoyed by the EPA’s move, although he acknowledges it could take a while. “We felt like WOTUS was one of the biggest federal overreaches we have ever seen and that it would be so invasive it would affect our members as well as anyone who had private property,” he said. Disclosure: The University of Texas at Austin, Rice University and the Texas Farm Bureau have been financial supporters of The Texas Tribune. A complete list of Tribune donors and sponsors is available here.